Combine with additional Battle Portals and characters from the Mega Bloks Skylanders Giants collection! 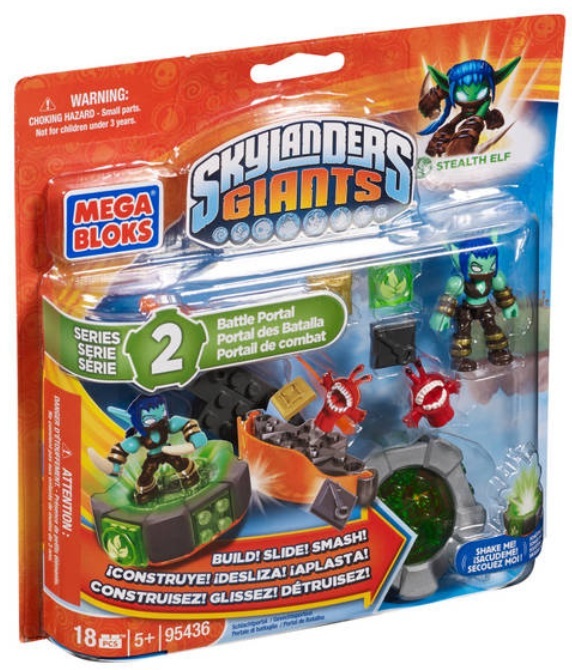 Get ready to kick it and stick it to the competition with Stealth Elf’s Battle Portal by Mega Bloks Skylanders Giants™. Set this Life character on the Battle Portal with light up features and aim for the battle bumper to knock and collect loot items. Practice your battle skills in target or rebound mode or combine with the Ultimate Battle Arcade to compete with friends! Ideal for kids aged 5 and up.